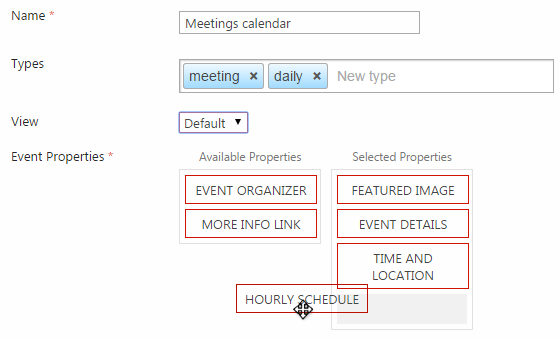 SharePoint Event Calendar Viewer app allows SharePoint users to define the flexible set of properties for every type of event. This way you can choose which events should include event organizer and location, and which of them should show schedule and image. You can choose which properties will be seen in the event description. This feature is provided with a simple drag-and-drop. Now choose Event Header Properties. Also, you can enable filters. Do not forget to save the result. So we created a new calendar.